Told you I’d continue it someday. For the past several years, I have been receiving E-mails intended for someone else due to a similarity in our addresses. Mildly annoying because the majority of these misdirected E-mails have been the result of this other person mis-typing her own E-mail into form subscriptions or contact lists, so it’s not like strangers are making the typos; she should know her own E-mail address. Yesterday she enrolled in online banking through Wachovia. Using my E-mail address. Ponder the consequences of that for a moment. All of that, however, is mere background to the upcoming absolutely stunningly illogical event that is about to occur. Unless you are a customer, we are unable to de-enroll your e-mail address. That’s right. Because I was not a customer, they refused to stop sending me E-mails containing someone else’s account information. In the meantime, while waiting for their reply, I received a “daily balance notification” letting me know how much money was in an account that didn’t belong to me. I notified Wachovia again. Same response. After receiving several more E-mails from Wachovia containing information about an account that did not belong to me (and notifying Wachovia each time), I finally received a reply from a higher-level customer service manager. 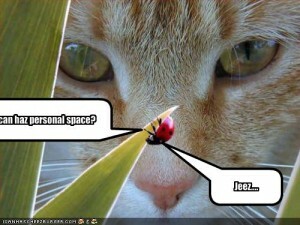 I have contacted the customer who had your e-mail address on file. I have found that there was a typo in the e-mail address. I have taken care of this issue. Our records indicate that you recently added or made a change to one of your email address(es). This notification is to confirm that you initiated this change. All it took was repeated pushing on my end to get them to correct the issue. If I had given up after the first response, I would still be receiving information about an account which I do not own. It should not take repeated notifications on my part for a bank to stop sending me the account information for a stranger. They should have suspended the account’s automated E-mails immediately after my initial notification to them and then contacted the account holder about the mix-up rather than doing nothing until I harassed them enough to get it kicked up to an upper-level representative. Online banking security; we’re doing it wrong. H/T to Consultant Ninja for giving me the idea to track this. Mercifully, I have not yet encountered anyone singing in the bathrooms. Recently, there was an instructive exchange over at the Volokh Conspiracy between Eric Posner and Jonathan Adler on the causes and implications of the observed negative correlation between a country’s wealth and its impact on the environment. To be precise, this is not a simple linear correlation; it’s actually more of an inverted-U shaped curve, but it’s clearly an empirical refutation of the I-PAT hypothesis (environmental impact = population x affluence x technology) that was in vogue in the 1970’s. Posner and Adler (and Posner again) discuss the potential causes of this relationship (specifically, the role of government institutions) and whether the same pattern will arise in the global warming context. Well worth reading. A libertarian-minded friend recently brought up the idea of “going John Galt”: packing it all up and withdrawing his productive talents from American society as a protest against the absurd frenzy of government regulation and bailouts sparked by the economic downturn–in effect, going on strike. Turns out he’s not the only one to entertain this notion. Yet, as much as I agree with their intentions, I wonder if these protesters have misnamed their campaign against big government, and if they should really be looking to John Galt as a model of rebelliousness. Their defiance is nominally styled on the exploits of the hero of Ayn Rand’s Atlas Shrugged. Galt is the brilliant inventor who vows to “stop the motor of the world” by convincing all the men of great productive ability–the men of the mind–to join his strike. Galt’s goal is the utter destruction of the moral-political edifice of modern America–the elimination of the notion that man is his brother’s keeper. In the novel, it works. Industry and commerce crumble, and the rule of law soon gives way to anarchy. I once described the novel to my mom, who hadn’t read it. “Sounds like a terrorist,” she said. Her remark gave me pause: she was condemning the hero of one my all-time favorite literary works, yet she sort of had a point. Galt and his comrades are able to stand by, secure in their mountain hideaway, and watch the self-ruination of the world below, exactly as they meant it to happen. Is that not the same sort of moral arrogance–the unflinching belief that one’s vision of the world is correct, and the acceptance of human suffering as a necessary means to achieve that vision in its purest form–that allows men to fly commercial airplanes into crowded skyscrapers? Well, no and yes. No, because Galt is very careful in choosing his method of rebellion. He doesn’t do anything, which is the entire point. He doesn’t take anyone’s life; he forces everyone to live his life on his own, without mooching off the efforts of others. He lays bare the reality that the bulk of society rests on the productive ability of a determined few. Those that cannot make it on their own, perish (see Zenmervolt’s post on shooting horses). So yes, the means are different–omission versus commission–yet the end goal of Galt and real-world fanatical jihadists is identical: the destruction of Western civilization. Galt does not flinch at this outcome; he simply sees no alternative. He perceives the moral underpinnings of society to be rotten to the core, and a great and violent cleansing is the only way to wipe the slate clean. This is one of several ways in which I believe Rand’s writing departs from reality (although I don’t think her artistic goal is an accurate portrayal of reality, which is one of the reasons Atlas Shrugged is such an elegantly powerful philosophical statement). Decent men, even if they buy into Galt’s individualist philosophy wholeheartedly, are incapable of watching the suffering of fellow men with heroic detachment. Humans simply aren’t programmed that way. And that’s one of the reasons that “going John Galt” is a poor name for modern-day protests. I doubt that most of the real-world strikers have the goal of destroying Western civilization as they know it. They simply lack the desire to participate in the system any longer. And even if ruin and anarchy were their goal, achieving it by going on strike from society would be unlikely to achieve it. It’s too easy for humans to survive in this world. Our historic inventiveness has made life incredibly easy, and we are never required to acknowledge the root means of our existence. Thus, I simply cannot foresee the world falling to pieces as it did in the novel, even if a significant percentage of the world’s productive citizens “went John Galt.” People will go on happily, comfortably, unthinkingly for a long while, maintaining the moral-political status quo. What “going John Galt” amounts to in the real world is an act of political expression. And in that vein, it may have some impact. Personally, I still think the world is a pretty good place, with lots of people worth dealing with, and I am not ready to withdraw myself, even if I had the means and wherewithal to do so. So my own acts of political expression will be writing blog posts, voting, etc. I am still hopeful that we can change the status quo from within. Rand’s novel is a tremendous artistic statement about a powerful philosophy; it is not, and does not strive to be, an accurate portrayal of the real world. Its worth as a guide to real-world action is dubious, but its worth as a guide to philosophy is indisputable, and those who live in the real world would do well to read and understand it. Sometimes, you should leave the specifics out. Am I the only one here paying any attention at all? Nothing quite like a company that doesn’t know any of its own processes. Yay. 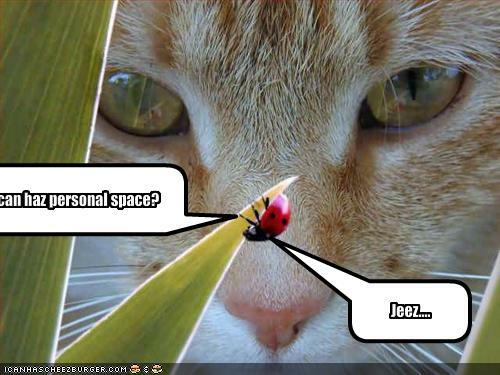 I can haz personal space? For all but a blessed few among us it is inevitable that, at some point during our working lives, the illusions we hold up for ourselves about what it is we do for a living fall away and we see reality. In my own case, I came to such a point this week. The “elevator speech” for my job is that I provide system and process expertise and help companies build successful Performance Management processes and systems. The reality, unfortunately, is that I am an enabler. My role, for all practical purposes, is to find a way for companies to mangle a system in such a way that it is able to support a process that is both legally and logically indefensible. And I do this because I will otherwise not be paid. I do this because the reality is that if I do not enable this destructive choice, the company will find a different consultant who will. I do this out of a vain hope that I will be able to make the customer see the inconsistencies and legal risks before the company spends too much on development of a system that should not exist. Someday I will reach the point where I do this because I no longer care.